Sent abroad on a secret mission, both he and his French sweetheart come close to the guillotine. But that is not the end—far from it. 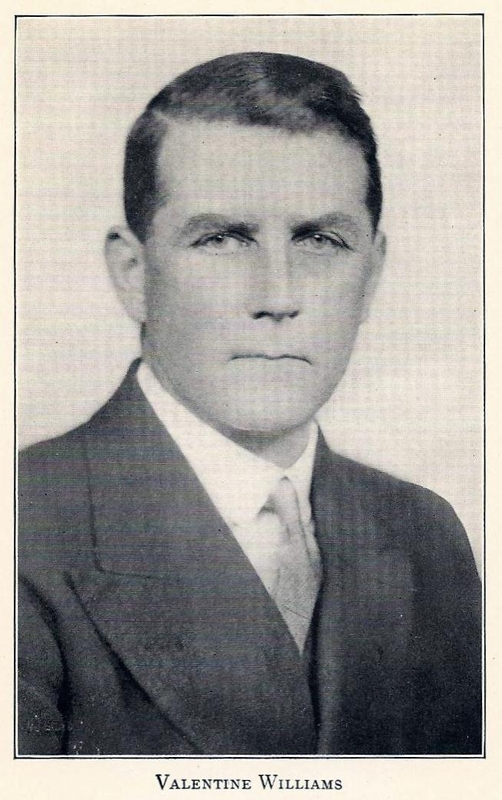 George Valentine Williams (1883-1946) was an English journalist, actor, lecturer and screenwriter. He created "The Fox" (Baron Alexis de Bahl), "Clubfoot" (Dr Adolph Grunt), Mr Treadgold the tailor and Detective Sergeant Trevor Dene. He also wrote one book under the name Valentine Douglas. Williams was the son of G. Douglas Williams, Chief Editor of the Reuters News Agency. After being privately educated in Germany, Williams joined Reuters as a sub-editor in 1902. Williams joined the Daily Mail in 1909 and over the next few years reported on various international stories including the Portuguese Revolution in 1910 and the Balkan Wars (1912-13). On the outbreak of WWI, Williams was sent to the Western Front. He disagreed with what he called "the unenlightened and unimaginative censorship" exercised by the Army's senior commanders. He joined the Irish Guards as a Second Lieutenant in 1915, and saw action at the front in the Somme sector, where he was seriously wounded in 1916. Williams was also awarded the Military Cross. 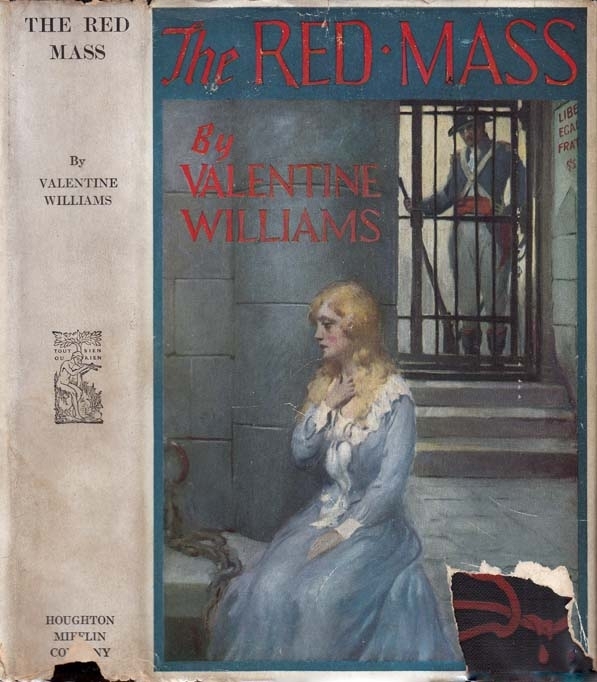 Valentine Williams is a nearly forgotten writer today. His Mr. Treadgold stories feature an amateur detective who is a Saville Row tailor. The detective plots often turn around clothes, on which subject Treadgold is an expert. The tales are far more democratic than most British fiction of the era, which would have despised making a tradesman a hero of fiction. The only other such character I can recall is Sayers' traveling salesman, Montague Egg. Mr. Treadgold moves with complete social assurance through all classes of society; the upper class people he meets often have startling vices, and hardly seem like a right winger's fantasies of social rectitude. Williams also shows tremendous enthusiasm for all things American in the book, including American idioms and speech patterns. He seems to welcome America as an admirable alternative to modern Britain. Williams also seems genuinely internationalist in scope, with sympathy for people of all nations. Williams' stories show a great variety of approaches. There are intuitionist puzzle plots suggesting Agatha Christie, Sherlock Holmes style deduction from physical clues, and even a scientific crime scheme out of Freeman or the Coles ("The Singing Kettle"). Williams also occasionally mixes spy material with his country house plot matter, as well. Although all of his Treadgold tales have mystery plots, some of them come close to degenerating into pure thrillers. This eclecticism makes him hard to classify, but I think he belongs most closely with the intuitionists. Although he was praised by Howard Haycraft and has an entry in the Encyclopedia of Mystery and Detection, the most important writer who seems to have noticed Williams is Agatha Christie, who burlesqued his Okewood Brothers spy tales in Partners in Crime (1928). The names "Okewood" and "Treadgold" have a certain similarity; each has two syllables, both heavily stressed, and with a d sound at the end, and plenty of o vowel sounds in the names. He also had a series character named "Clubfoot", which continues the pattern. Williams seems more like a follower than a leader. Many British detective writers of the era seem to be straining to be innovators, to create a New Type of Detective Story, one with their own personal stamp on it. Sometimes, as in Bentley's or Freeman's case, this is admirable; sometimes, in Berkeley's case, it is merely pretentious. Williams seems more content to grind out stories in established modes. Even at his best, there tends to be a somewhat labored quality to Williams' work. He doesn't seem to be a "natural", the way Christie was. Yet his best tales contain some real merit. If he was laboring, at least his work sometimes achieved results. Epub 20121035.epub If you cannot open a .mobi file on your mobile device, please use .epub with an appropriate eReader. Mobi/Kindle 20121035.mobi Not all Kindles or Kindle apps open all .mobi files.